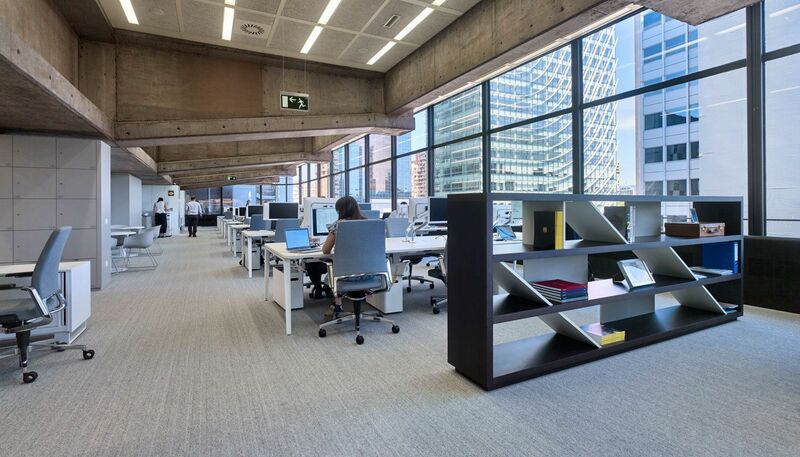 Savills Aguirre Newman selected Ofita to equip the five plants of its new headquarters in Castellana 81, an emblematic building designed by Francisco Javier Sáenz de Oíza as the headquarters for Banco Bilbao. 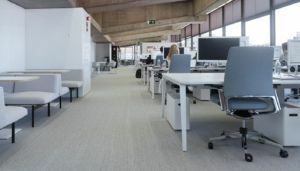 Ofita has supplied furniture to equip 340 operating positions, more meeting and management areas. 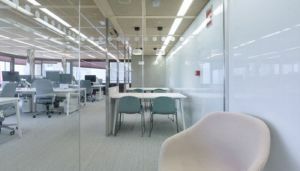 In this same building, Ofita had already equipped some plants for the multinational TEKA. The furniture developed for the project responds to the essence of these offices, conceived as a place of meeting and exchange of knowledge. 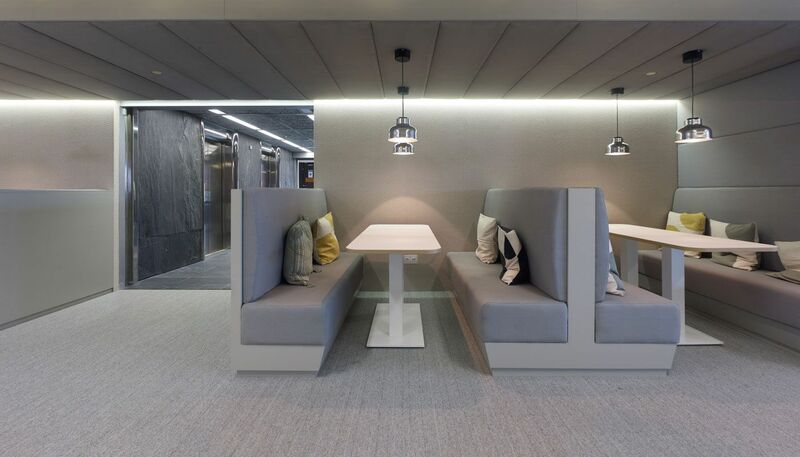 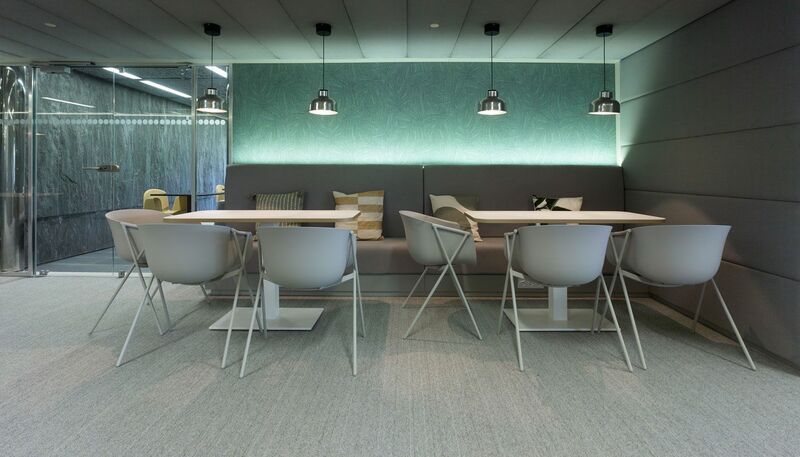 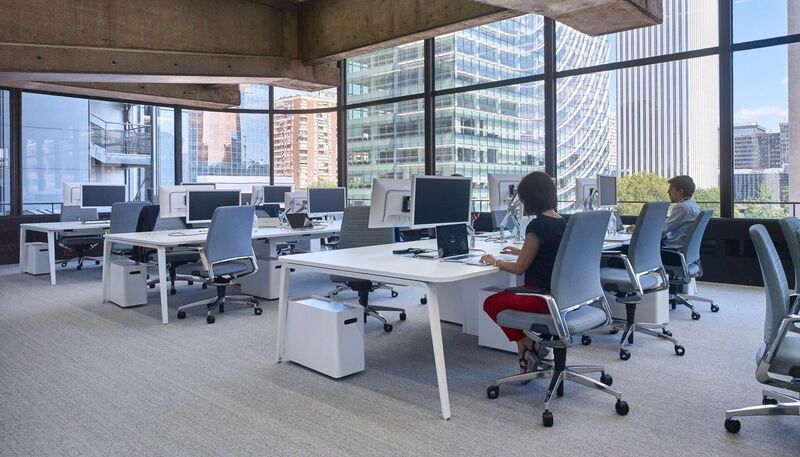 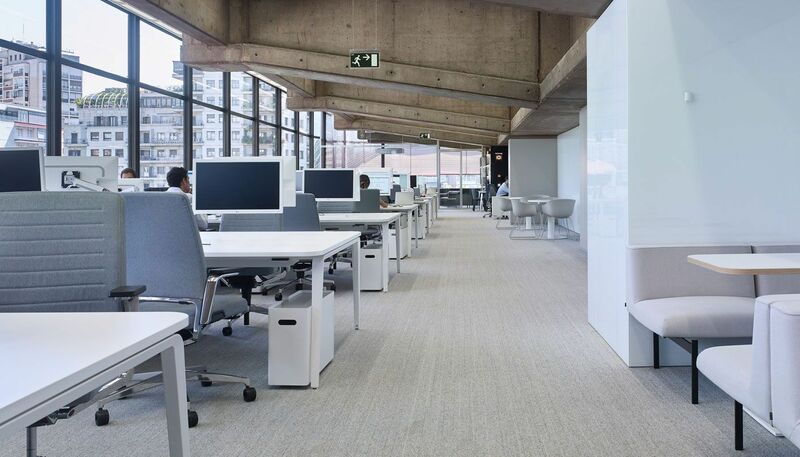 In response to their new ways of working, Ofita customized their Versa Innova furniture line in both the operational and meeting areas. 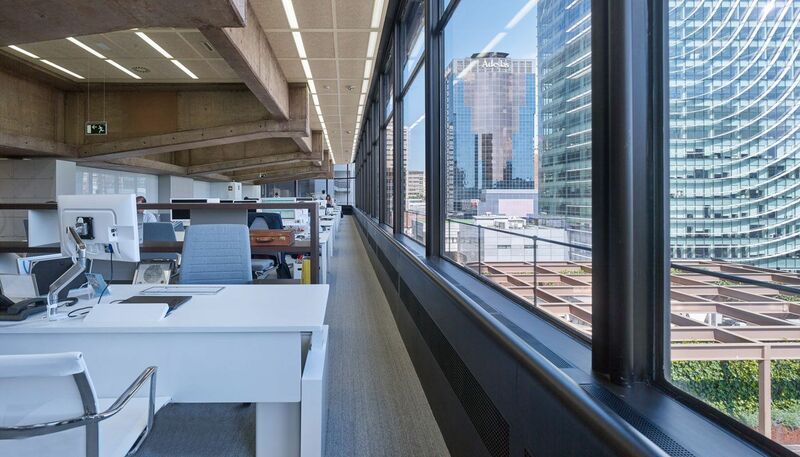 Measurements and radii were adapted in the corners to maintain coherence with the building floor. 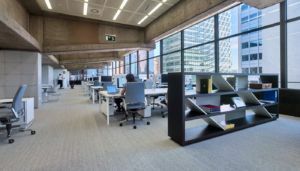 For the same reason, a trolley was chosen for the individual archive, an element that is more aligned with the concept of a paperless office that Savills Aguirre Newman has implemented. 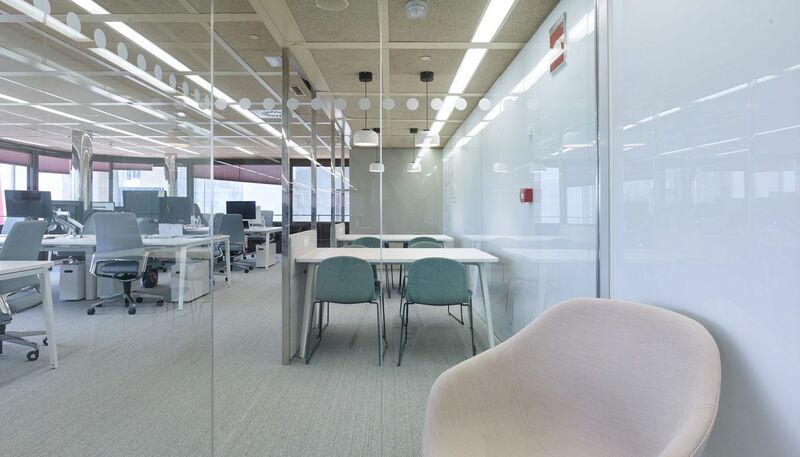 The management areas were equipped with Multilevel lift tables, with closed support and lacquered boards. 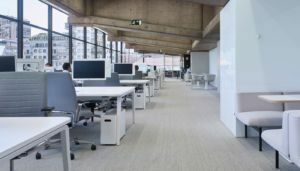 Versa Innova, Trolley, Multilevel and O.X.